A handful of the biggest automakers in the world have long been hard at work attempting to create a viable hydrogen-powered vehicle for the masses. But they may all have just been upstaged by a comparatively tiny company based in the town of Llandrindod Wells in Wales. 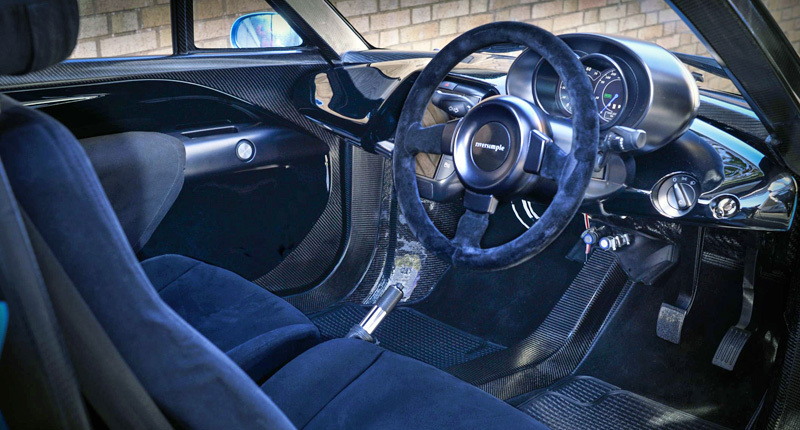 Yes, Riversimple Movement Ltd has taken the wraps off the road-legal engineering prototype of its Rasa hydrogen-powered two-seater car. And it looks very promising – if a little eccentric – indeed. 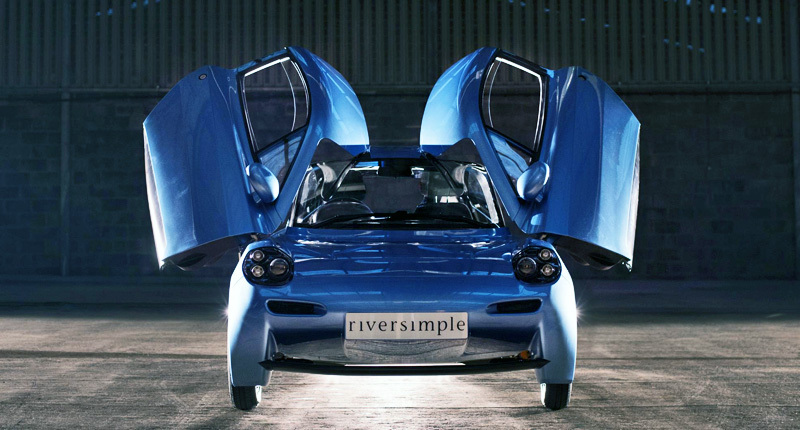 Riversimple says it has one main purpose: to systematically eliminate the environmental impact of personal transport. In essence, it says its aim is “personal mobility at zero cost to the planet”. Hydrogen, then, seems to be a natural choice, seeing as a vehicle powered by that particular chemical element emits nothing but a few drops of water. But, in reality, things aren’t that simple. Indeed, if they were, the giants of the automotive world would have long ago launched multiple hydrogen fuel-cell products. As it stands, there aren’t many options for buyers keen on production hydrogen fuel-cell vehicles. In a small number of markets, Toyota has the Mirai, but it’s priced out of the reach of the man in the street. The same will likely be true of the latest Honda Clarity. And Hyundai’s fuel-cell efforts have been also been limited in their reach. Riversimple, however, plans to make its vehicle more accessible by using a unique “sale of service” model. The company says it will cover all repair, maintenance, insurance, and fuel expenses for a fixed monthly fee, comparable to the cost of leasing and running a new family-sized hatchback. In short, the motorist won’t actually buy the car but rather exchange or return it at the end of the contract period, with Riversimple retaining ownership and essentially selling mobility as a service. Of course, mileage restrictions will apply. So, what about the Rasa itself? Well, it’s a strange looking thing – and appears to take a few cues from the Volkswagen XL1 – designed from the ground up (“tabula rasa” means “scraped tablet” or “clean slate” in Latin) and underpinned by a completely different architecture to that found in conventional cars. Styled by Chris Reitz – who has worked in or headed up design departments at Volkswagen, Audi, Nissan, Fiat, and Alfa Romeo – the Rasa has clearly been aerodynamically optimised. It also features nifty butterfly doors and what appears to be a relatively simple two-person cabin. The chassis is a carbon-fibre composite monocoque that tips the scales at less than 40kg (about the same as a small female Rottweiler, if you’re wont to measuring things in dog weight). Indeed, the vehicle’s total kerb weight is just 580kg, while there are only 18 moving parts in the entire powertrain. How does that all-wheel drive powertrain work? Well, with the Rasa in motion, hydrogen passes through a proton exchange membrane in the tiny 8.5kW fuel-cell, where it combines with oxygen to form water and electricity. The latter drives the motors positioned in each of the four wheels. Meanwhile, more than 50 percent of the kinetic energy produced under braking is recovered and transformed into electricity to boost acceleration via a bank of super-capacitors. 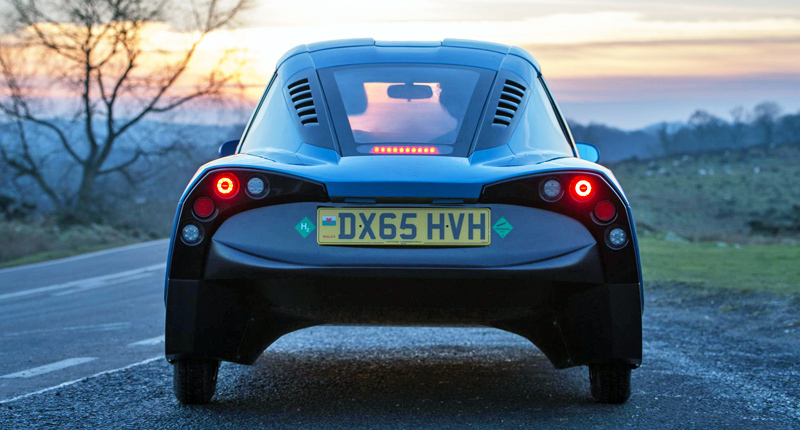 Riversimple says the result is a range of nearly 500km from just 1.5kg of hydrogen, which is an estimated fuel consumption equivalent to around 1.1 litres per 100km. The top speed, however, is a smidgen under 100km/h, although the company says the 90km/h-mark is reached in around nine seconds. 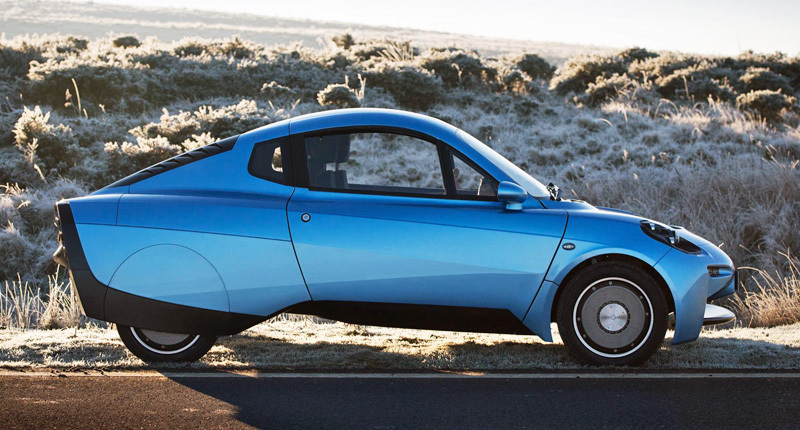 Still, Riversimple is positioning the Rasa as a daily commuter rather than long-range, highway-munching vehicle, saying that one tank will likely last most people a full week of local travelling. The cost of filling up at a hydrogen fuel station – a process it says will take just three minutes – will be covered by the fixed monthly fee. And that, of course, is where the Riversimple Rasa runs into the familiar infrastructure roadblock. Without an extensive hydrogen fuel station network in place, few people will be interested in the Rasa as an alternative to a mainstream vehicle. Riversimple, for what it’s worth, says it’s working with hydrogen refuelling partners to create stations in “hub locations” near customers. “The more people who want a Riversimple car in any given area, the sooner we can get the refuelling in place there,” it says, urging customers to “help us build the case for coming to your area”. “Establishing hydrogen infrastructure is not an insurmountable problem,” it insists. Still, regardless of whether one shares this optimism, it’s interesting to note that Riversimple will be forging ahead with a 12-month public Beta trial of 20 prototype models starting later this year, with the goal of producing its first full production model in 2018. And if it can indeed overcome the formidable infrastructure challenge, the Riversimple Rasa’s refreshingly simple design and clever service model means it may just give the big automakers a jolt.